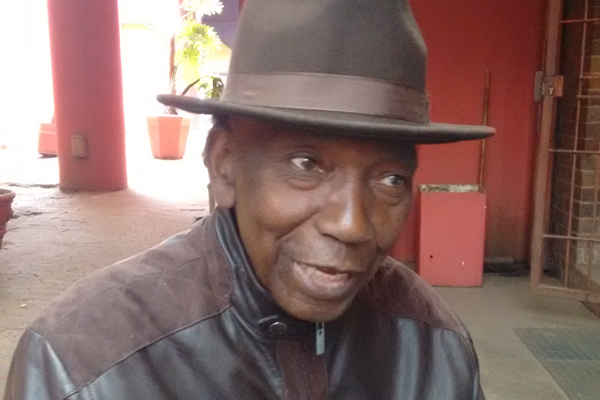 Exiled Chimurenga music star Thomas "Mukanya" Mapfumo says contrary to popular opinion, he has always been friends with fellow Zimbabwean music legend Oliver "Tuku" Mtukudzi. The two artistes, who were both part of a band called Wagon Wheels in the late 70s, have often differed publicly on a variety of issues. Mukanya and Tuku have different song-writing philosophies. The Bvuma hit-maker's songs are more subtle while Mapfumo is more direct. But in an interview with the Daily News recently, Mukanya, who turned 72 last week in Oregon in the United States of America where he has lived in exile since 2004, insisted that he has always had great respect for Tuku (64). "Oliver is a very good friend of mine; we have come very far and I miss him a lot," Mukanya said, adding that he was very disappointed in February this year when Tuku cancelled his tour of the United States of America after being denied a visa. "It has been a long time since I last spoke to Oliver. He used to come here and we would meet every time he was here. I heard that they denied him a work visa to come and perform in America early this year and I was very disturbed." Mukanya, who is critical of Zimdancehall artistes for promoting "vulgar lyrics and violence" believes Tuku is doing a great job to promote "authentic" Zimbabwean music. "I respect that group of old musicians like Mtukudzi and of late Alick Macheso as they have promoted our Zimbabwean music but nobody is supporting them," the Nyoka Musango singer said. In addition to Tuku, Mukanya, who conceded this week that he was homesick, said he was missing another veteran Zimbabwean musician - Zexie Manatsa (73). "I do not even know where Zexie is now, and I hope I will be able to speak to him soon. Zexie is a very good friend. "Remember I played at his wedding in Rufaro Stadium (in 1979) and that shows how close we were. I think it would be a good idea to collaborate with some of these great artistes (Tuku and Zexie)," said the Mamvemve singer. Manatsa, best known for hits such as Tea Hobvu, Chipo Chiroorwa, Vaparidzi Vawanda, Ndipeiwo Pfumo and Musango Munehangaiwa, quit music for the pulpit in 1987 after a string of misfortunes. The veteran musician is now a pastor with ZAOGA Westgate.